Put simply, Plato’s allegory of the cave imagines human beings ascending from darkness towards the light of knowledge. To succeed, they have to transgress the materiality of corporal being, breaking the chains of a human condition bound to the senses. 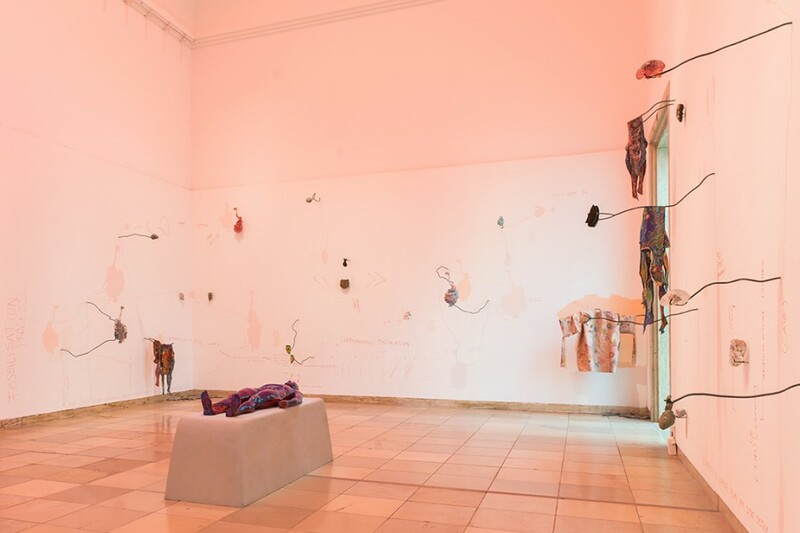 ‘Blind Faith’, an ambitious exhibition featuring 28 artists at Haus der Kunst in Munich, updates this enterprise, attempting to challenge what an accompanying text terms the ‘conventional methods of measuring and evaluating our existence’ in an era of wild digitalization. The show’s choreography is expansive and immersive, with prominent sound and video works intermingled with large-scale installations. The gold light of Mariechen Danz’s installation Womb Tomb (2015) saturates the first room, casting shadows of glass reproductive organs onto the walls. In the centre, a human figure lays flat, rendering the space a laboratory and pointing to the body as both an instrument and source of deeper knowledge and truth.